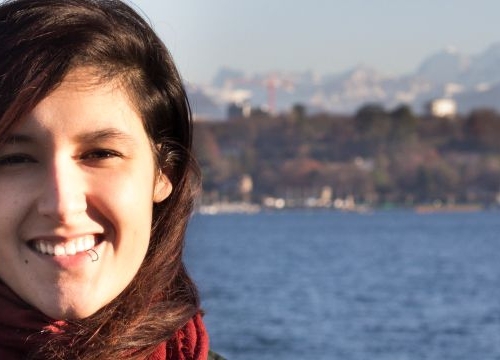 In this interview, Emilie Di Grazia, currently enrolled in our Master of Advanced Studies in Transitional Justice, Human Rights and the Rule of Law, tells us about the programme, teaching, life in Geneva and what she plans to do after. I am Emilie, I come from Québec, the French-speaking region of Canada. 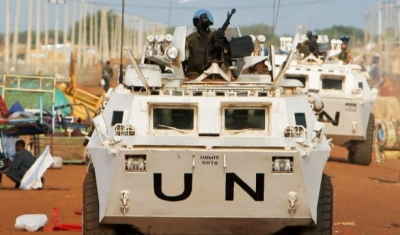 Before studying at the Geneva Academy, I completed a Bachelor’s Degree of Social Sciences, specialized in Conflict Studies and Human Rights at University of Ottawa in Canada, where I was a Teaching Assistant and the Coordinator of the Indigenous Arts, Culture, and Human Rights Summer School. I have volunteered in numerous organizations, such as the Human Rights Clinic of the Human Rights Research and Education Centre, the Canadian Red Cross and the International Development Journal as an undergrad researcher, campaigner and freelance writer. I enjoy traveling, reading and I speak French and Italian. 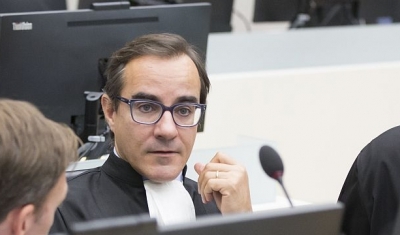 Why did you choose the Master in Transitional Justice at the Geneva Academy? A combination of factors made me choose this programme: an interest in understanding the dynamics of conflicts, the belief that the international legal system, through ideas of inclusion, human rights and cooperation, could generate effective solutions to conflicts and finally a personal desire to understand better what it means to reconcile after traumatic past events.  The Geneva Academy imposed itself as the best academic institution to prepare me to the professional career I aim for. Its curriculum and focus on practice through opportunities for clinical work, the field trip and internships made it clear that it would lead me to gain tools no other university could provide. 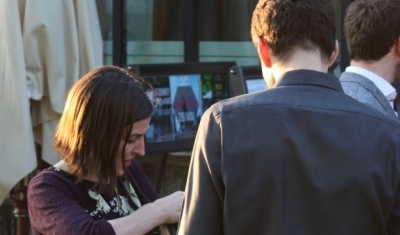 The most interesting aspect in the programme is without a doubt the fact that everybody comes from different background, professionally and culturally, making the class so interactive and enriching. Also, the interaction between the law and social sciences, important to me as well for the field of transitional justice itself, makes the programme most complete. The best things about the classes are the fact that professors are renowned, leading academics and practitioners, and they are able to share ‘real’ insights of the field. The emphasis on student participation and dialogue is very enriching. In the future, I strive to work as an advocate, researcher and field officer for human rights organizations in difficult contexts of war-torn and fragile states. 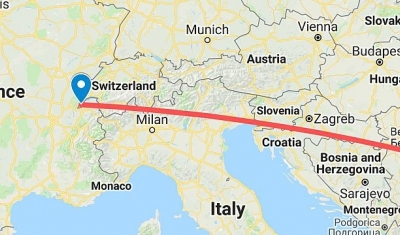 I have taken a specific interest to further analyse post-conflict situation where there is a ‘negative peace’, and I am also focussing on the Western Balkans region. Geneva, for a student of international human rights, is absolutely amazing – there are many conferences, offered both by academic institutions and international organizations, that allow you to learn even more about the world we are about to enter. In addition, the many international students who come from all over the world to study here makes the environment fascinating and interesting – from one place, you get to have cultural experiences and interaction that few cities in the world can offer. Why did you choose to be photographed in front of the Lake, next to Villa Moynier? This particular spot is both striking and meaningful to me; on my first day in Geneva, as I was sitting in the Villa Moynier, I could see the peak of Mont-Blanc and I remember thinking how beautiful this scenery was. I since then often been there, writing essays, reading, taking in the atmosphere. Makes it much easier to deal with the pressure of finals! 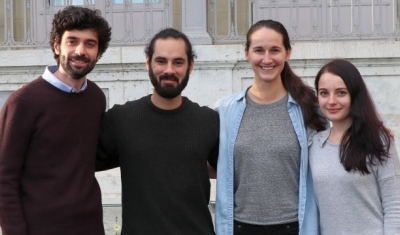 Ignacio Lepro, Eliška Mockova and Tori More, currently enrolled in our LLM in International Humanitarian Law and Human Rights, will represent the Geneva Academy at the 31st Edition of the Jean-Pictet Competition that will take place in Obernai (France) from 16 to 23 March 2019.